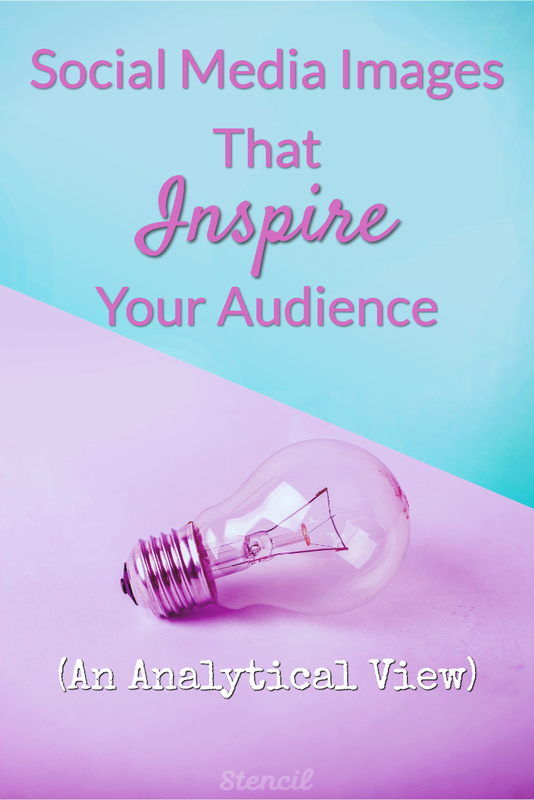 Creating social media images and sending them out into the world hoping they inspire your audience can be… hit or miss. You never know what they’ll like until you create, test, and measure. It’s a process that takes time, but you’ll want to take full advantage of what you find because it’s such a satisfying feeling to know when you’ve finally hit a chord and resonated with someone in your audience. How would you know though? Is it all the likes, retweets, and comments? It’s actually a bit more to it than that. 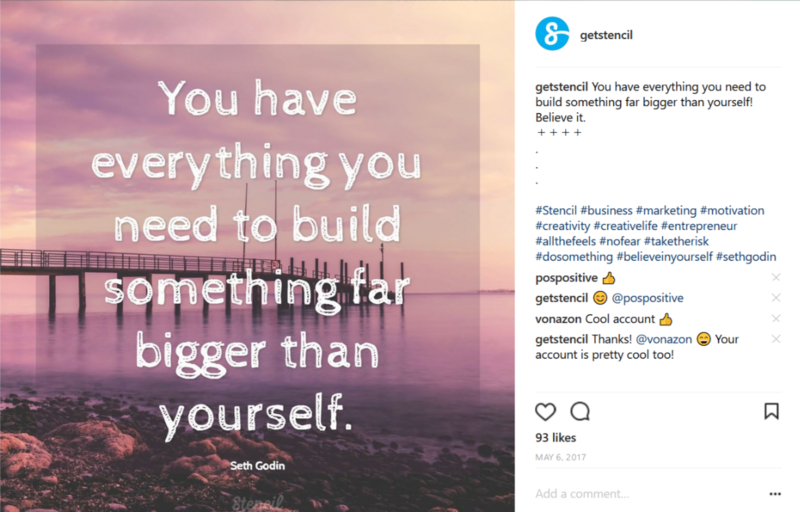 We’re going behind-the-scenes and digging into what makes social media images truly inspirational. Let’s check it out! No big deal, right? It’s a nice quote and the photo is awesome. Plus the #inspiration is generic and can capture people who look for inspiration on a daily basis. Our number of engagement on this tweet was 54, now that’s quite different from the 3 retweets and comments listed as face-value on the tweet. What’s that mean? That means that it’s a combination of retweets, likes, comments, user profile clicks, URL clicks, and media views (people clicking on the image and checking it out). Check out the engagement number. You can only find this number in analytics. A simple “Hello September” tweet had more engagement than expected as well. With 2 retweets and 6 likes, we had a whole lot more hits on engagement than that, which means more people clicked on our image and/or visited our profile. What I’m trying to say is creating social media images doesn’t have to be something above and beyond creative that belongs in the art museum for people to feel inspired. People want to feel connected. Create a detailed message in the caption or tweet to add substance to the quote image. What does the image or quote remind you of? When followers see the emotional side of a brand they’re reminded that it’s not just a logo they’re chatting with. 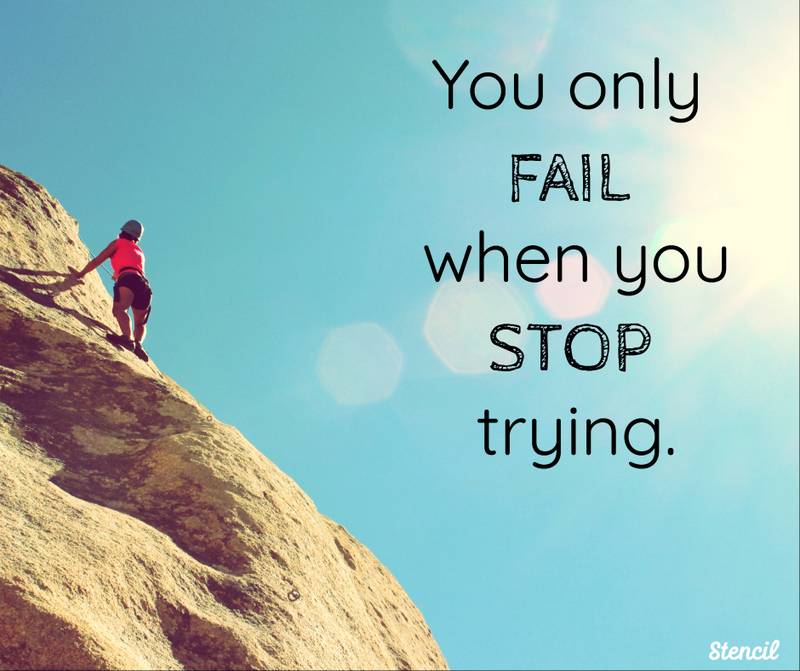 You only fail when you stop trying. – Great motivational quote! 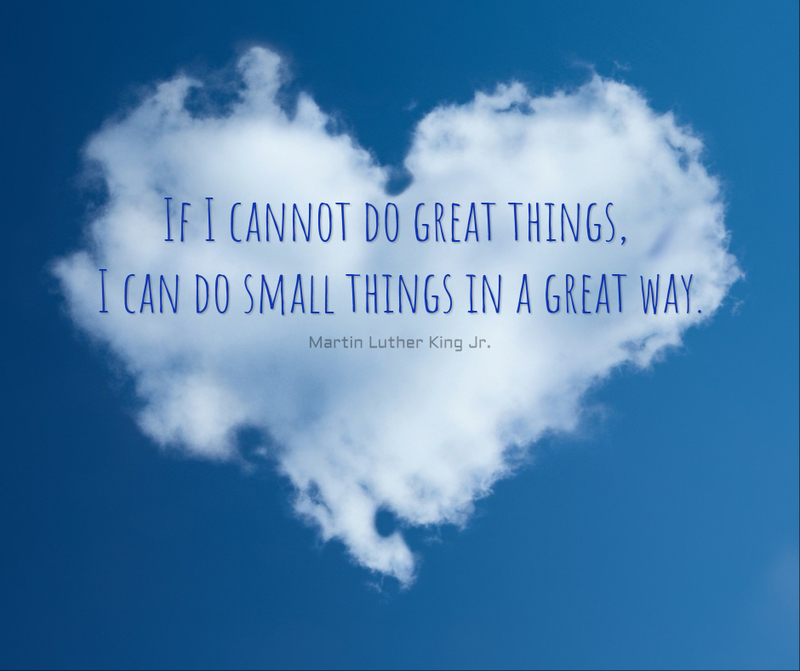 You can never go wrong with MLK Jr. for inspiration. Does that mean these images would work for you? Not necessarily, because it all depends on your audience. Let’s take a look at some other social media images around Twitter. 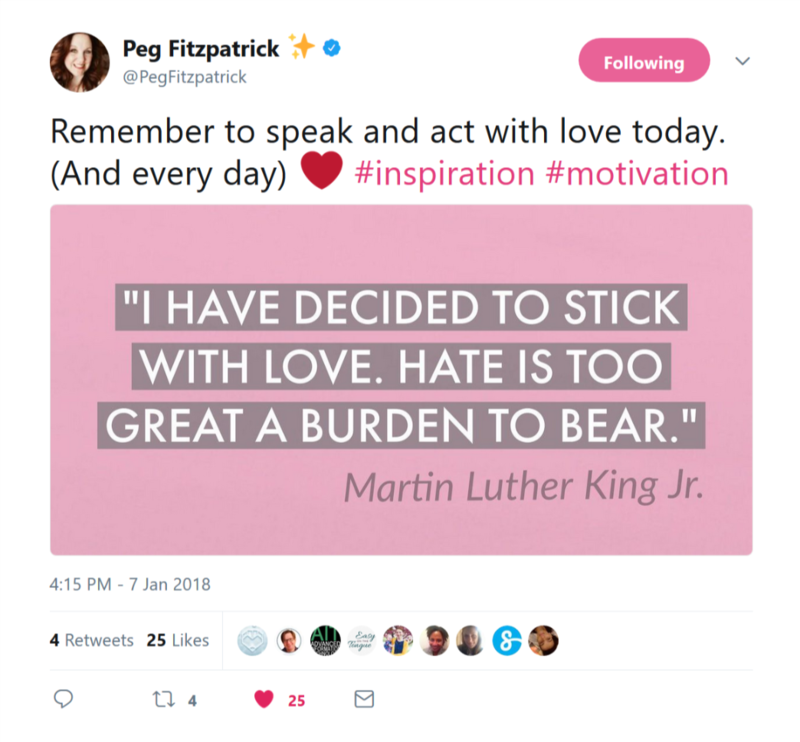 Mmhmm…What did I say about MLK Jr. quotes? 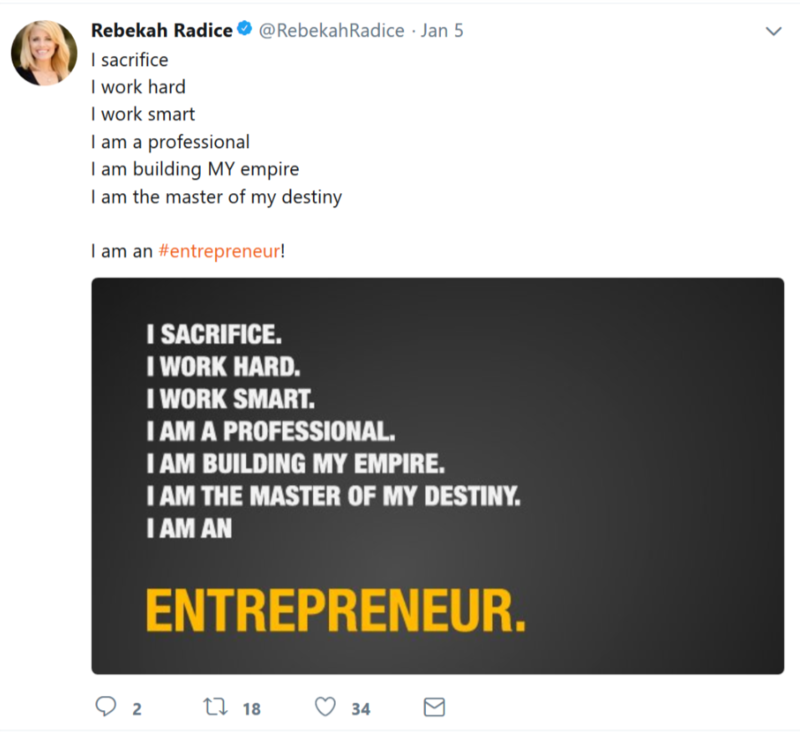 Um hello… I think she’s ready to pump up some #entrepreneurs. Remember quotes and phrases used don’t have to be from anyone prominent to make a point. They can be from you! What has to happen is the emotional connection. However, if you need a quote then pull one from the Stencil library to get the image going. When creating an image you’ll find your creation process. Many times it just takes a quote to get my creative juices flowing and looking for the perfect photo as the background becomes quite easy. The key point here is to don’t look at a tweet at face-value. Dig in and check into your analytics to see how your social media images are performing. That’s when you’ll know if they’re providing value to your audience. Remember there were only 3 retweets on the first image shown above but lots of clicks going on in the back-end checking out the profile. Looks can be deceiving! 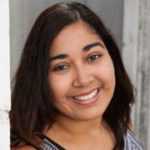 How can you test your social media images? On other social media platforms and if you’re tweeting them, tweet them multiple times. If the image didn’t do well in one month, try it again next month. Changing the image sizes into images for each platform is simply a click away with Stencil. The images above were all on Twitter, so we’ve used some images for Instagram and we’ve gathered some interesting results there too. These images were both shared on Twitter and Instagram, however, they did better with engagement on Instagram. Speaking of Instagram… it’s all about the hashtags that are used as well. 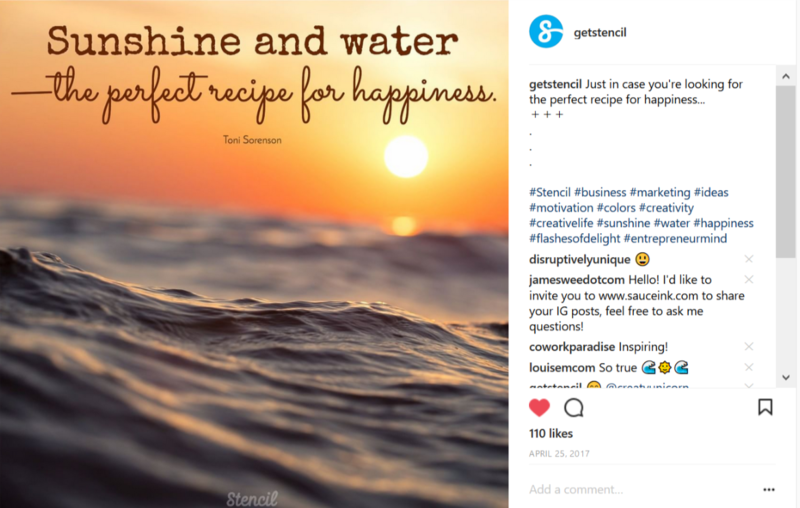 Some of the images that you’ve used may not have the same hashtags, so you’ll have another group of individuals to hone in on in terms of audience. Switch up hashtags and find some new ones with Hashtagify or Tailwind. Not all platforms are treated equally so you may not want to use the same images. We’ve only used some images for testing on Twitter and Instagram. It doesn’t hurt to test! Another consideration on testing is timing. If you tried tweeting an image in the morning and it didn’t work well, then try it again later in the month in the afternoon. Is Your Social Media Image Inspiring? Is it all about numbers? No. When you see engagement numbers rise, most likely you’ll see more comments on the posts. Comments are crucial when building your community and that’s when you know your social media image is inspiring. When you have that type of engagement to get to know your audience and ask questions that’s what social media is all about. If they’re commenting, then the image must have resonated with them. Pay attention to the images you create. 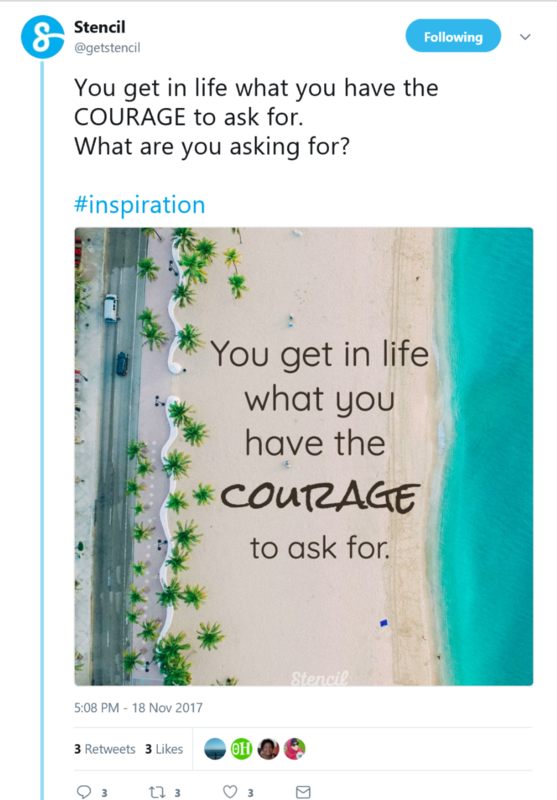 What types of social media images inspire you?